The Toughest, and Cutest, Life Form? What can survive being frozen and revived at least 30 years later? What about surviving being nearly dried out and rehydrated? How about being fine after several days in space? 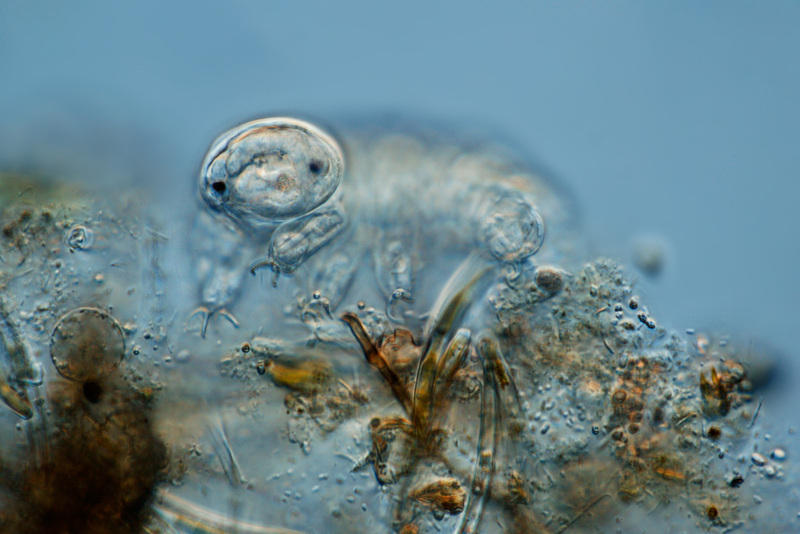 We’re not talking about cockroaches, we’re talking about microscopic creatures known as tardigrades, moss piglets or water bears. They’re found in water all over the world and they have an amazing ability to survive extremes. A recent study revived a collection of the creatures. They had been frozen in a sample of antarctic moss collected back in 1983. Two survived. One adult died 20 days into the experiment. The other not only survived, it successfully reproduced. So what is the big deal about these tiny critters and what is this doing on a Sci-fi author blog? If we can discover how the tardigrades repair the damage incurred by their genes when surviving extremes, we may be able to improve human lives. What if we could induce a type of suspended animation so travelers could arrive at a location after several decades of space travel? What if there was a way to successfully freeze someone with a terminal illness who wanted to be revived after a cure is found? Perhaps the most wide-spread use would be to reverse damage done to aging cells in the human body. It could allow us to not only live longer, but be healthier longer. Yet an organism only 1mm long is very different from a human. Is the kind of cell repair and so called “cryptobiology” possible in humans? Next post, I’ll tackle the world’s toughest mammal.